Sophie and Her Bru was sculpted by Pamela Phillips from the Yesterday’s Dreams Collection for Georgetown Collection. 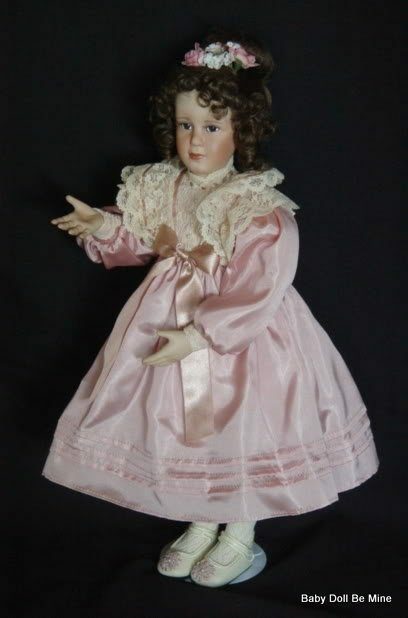 Sophie is about 18 inches tall with a porcelain head, shoulder plate, arms to the elbows, and legs to above the knees on a cloth body. 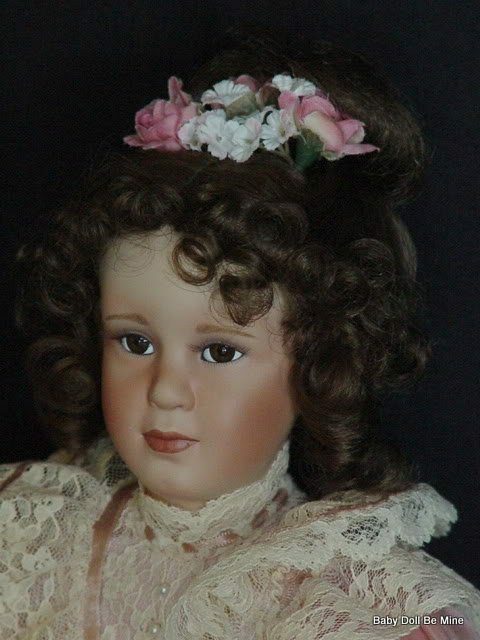 She has brunette hair gracefully pulled up in a bun and adorned with silk flowers. 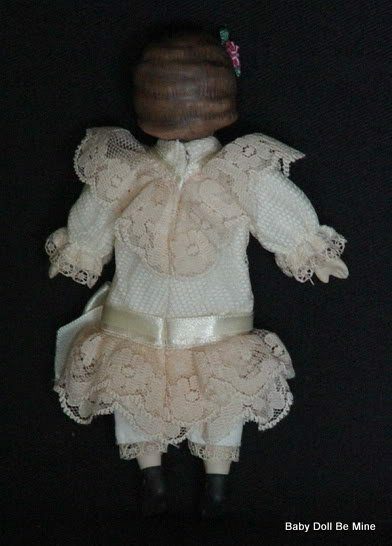 Bru is about 6 inches tall with a porcelain head, shoulder plate, and arms and legs to the elbow and knees on a cloth body. She has hand painted hair and facial features. 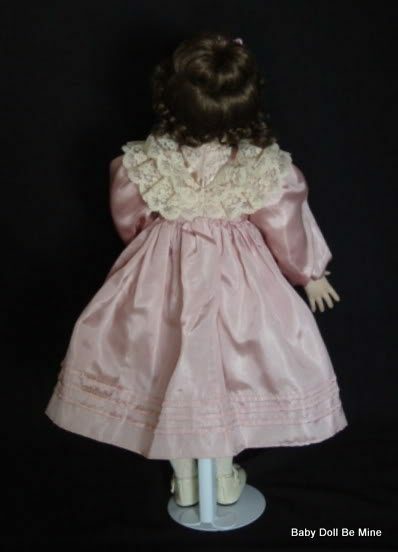 The back of Sophie’s COA reads “Ever since she was very small, Sophie has dreamed of having a Bru doll all her own. Now that dream has come true. 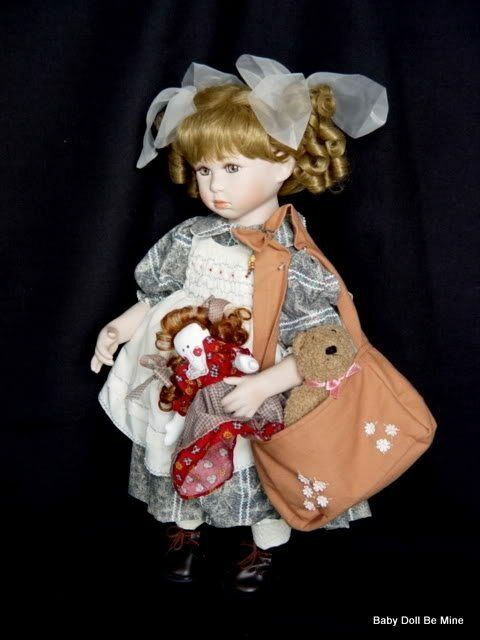 And the precious Bru doll she holds in her arms has all the charm and elegance for which these famous French Bebes were known. Sophie and Her Bru is the newest work in the Yesterday’s Dreams Collection. 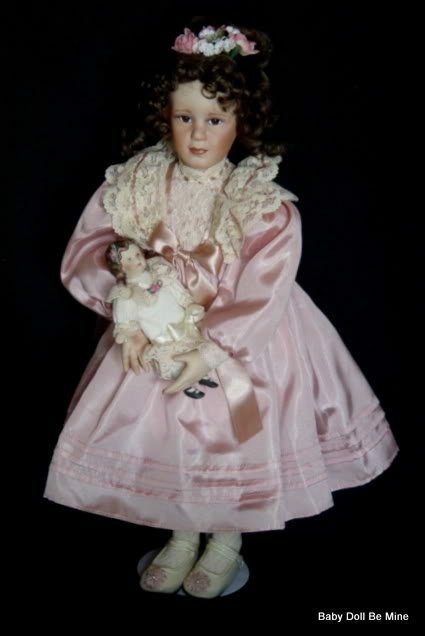 This is the very same collection for which Pamela Phillips was awarded the prestigious Doll of the Year award,. 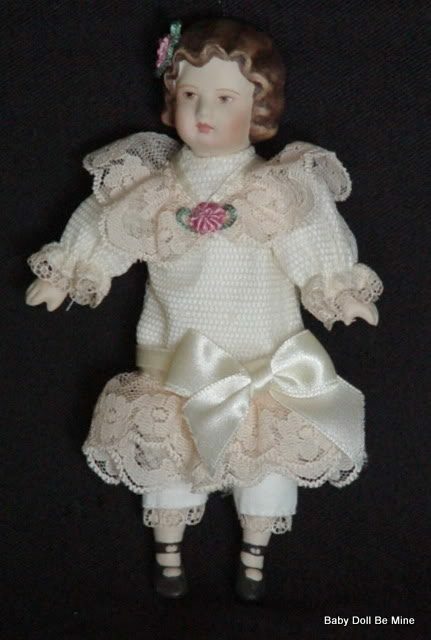 And, of course, Sophie has all the beauty and artistry only the finest porcelain collector dolls possess. 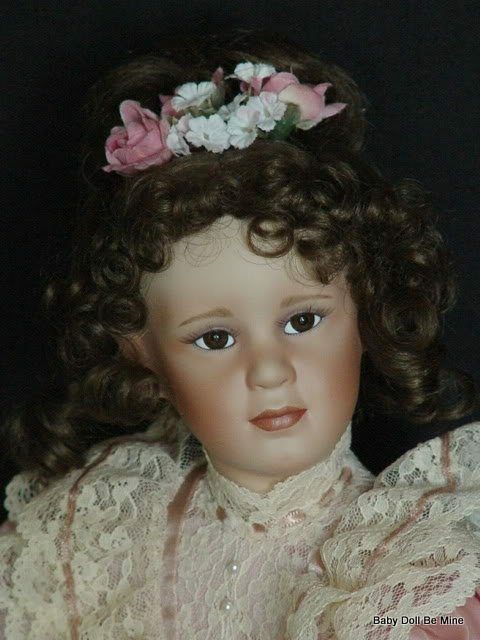 With her wavy hair and delicate complexion, Sophie is the perfect picture of a real Victorian child. 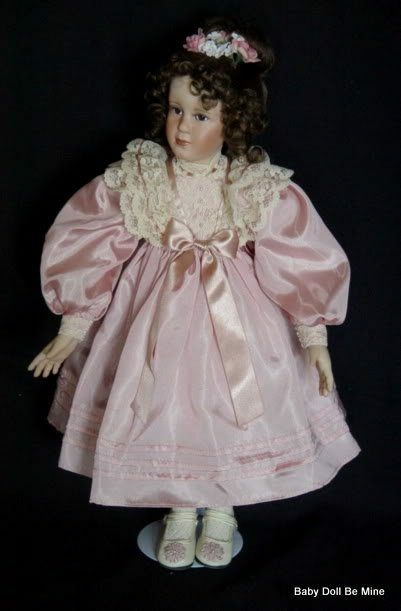 Her lace-trimmed dress and high-buttoned shoes are delightfully authentic. 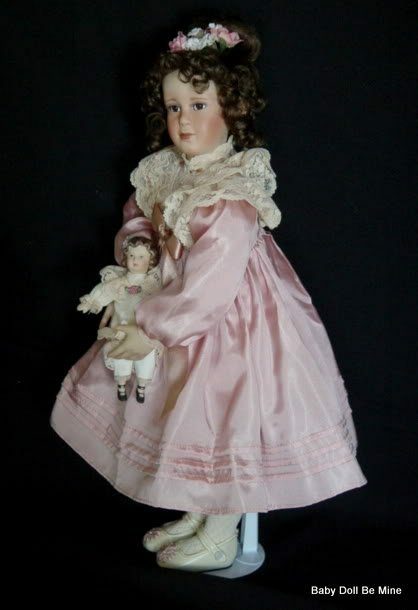 And her Bru doll is a meticulously detailed porcelain sculpture, created by Pamela Phillips as a nostalgic reminder of these classic 19th century dolls. 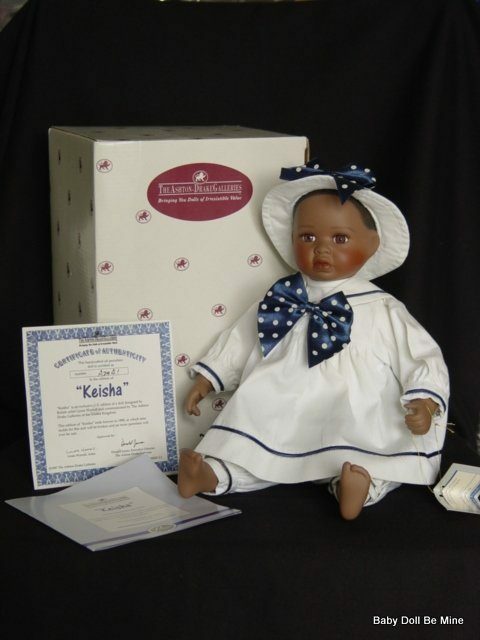 As a mark of Sophie’s status as a Georgetown Artist’s Edition, your doll has been crafted by hand to Pamela Phillips’ exacting standards. Sophie and Her Bru is issued in an edition limited forever to 100 firing days. 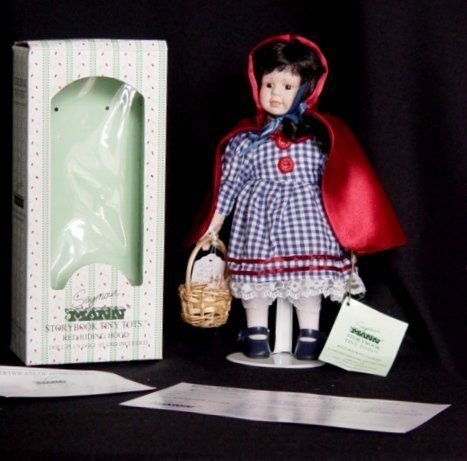 In the tradition of heirloom-quality dolls, Sophie and Her Bru is individually hand-numbered and bears Pamela Phillips’ signature. 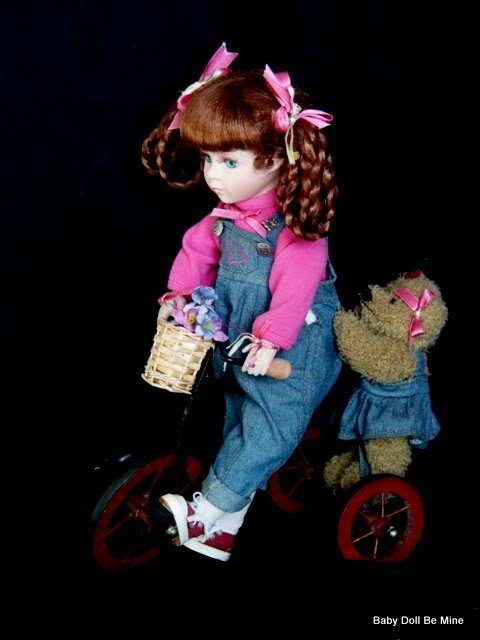 Sophie and Her Bru…two delightful little friends… yours to treasure forever and ever! Sophie and Bru come to you in the original box with her COA, wrist tag, posing instructions, and thank you note. 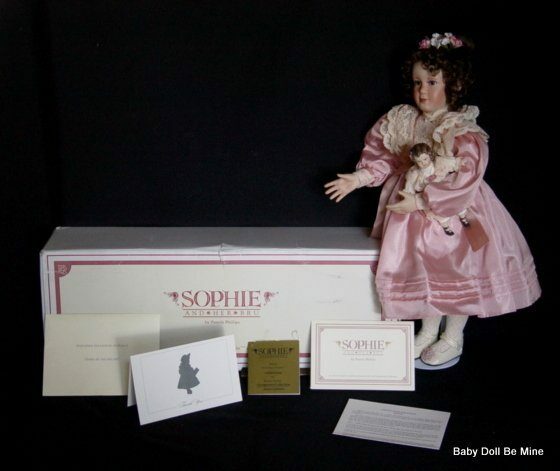 Her box is not in the best of condition but has done a wonderful job of keeping Sophie in nice displayed condition. She will come to you double boxed.